LuxeWomen Nails – We Wish You A Merry Xmas! I am not a cutie, girly kinda gal but I love smiling and secretly loving cute stuffs from time to time and with such cute handmade decors, how can anyone not awe in all cuteness! I wanted a Xmas tree yet I was greedy for more present decors, and we started discussing. As usual I enjoy and love talking to Jaclyn for she always has plenty of creations and ideas to make every art piece unique! Jaclyn then went on to choosing the gel colors for each nails so that the decors will stand out. 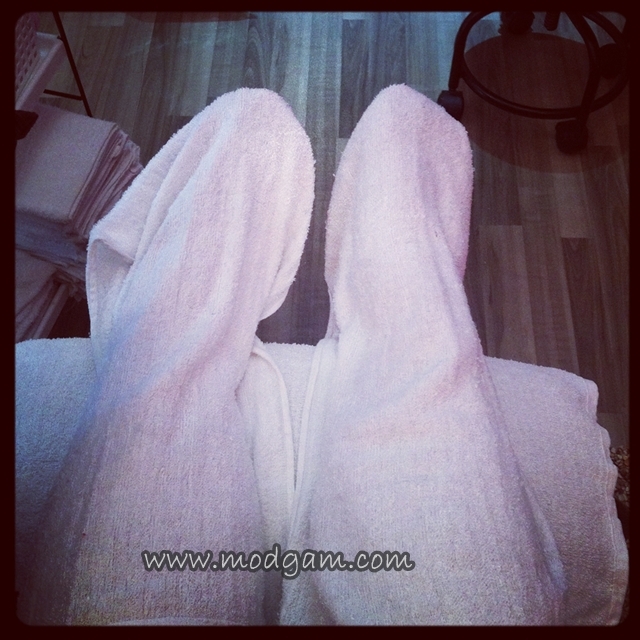 I was getting really excited but am enjoying the Deep and Deeper ElectroThermic Mask Treatment for my exhausted feet! All the dead feet skins and bacteria all scrubbed and gone! Yey to healthy glowing feet. Yen, the lovely manicurist, helped scrub my feet and calves and you can see the immediate effect! The arrow pointing to the calves is scrubbed and brightens whereas the other one is all black and dirty looking. I am in love with Jaclyn’s velvety nails and decided to have it on my pinky! 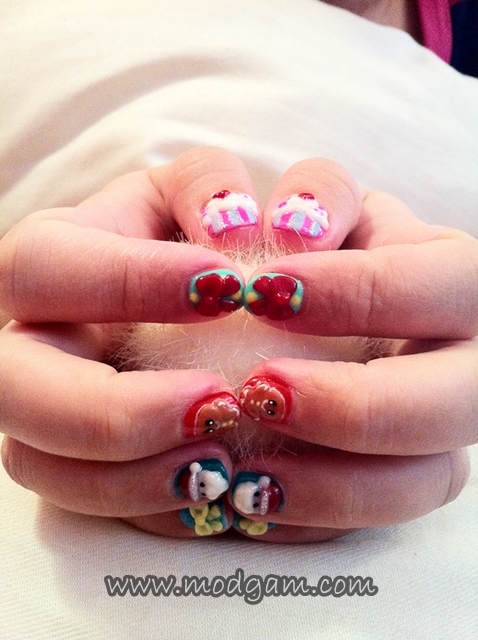 This is so creative and its like having candy floss on your nails! Super fun and cute! Gingerbread man coming to life! Hahaa see how she is moulding them onto my nails. I can’t really visualise the shape cos my fingernails are really small thus I always wonder how she is gona squeeze the complete design onto this small area! 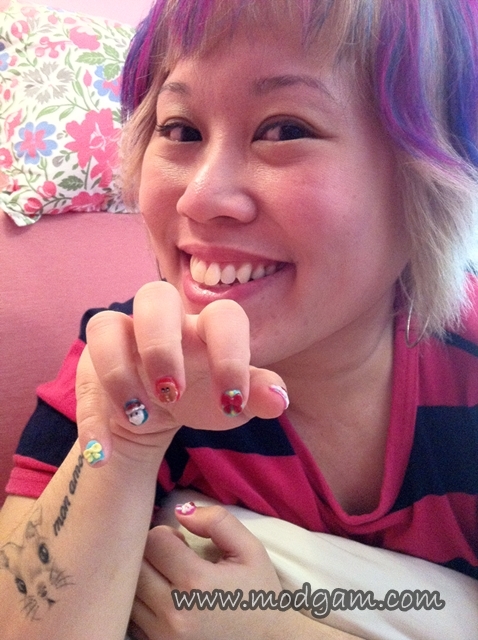 All the decorations on my fingernails are handmade and crafted by Jaclyn! Isn’t she creative? I now have a yummylicious huge cupcake with a lovely heartshape cheery, 2 presents with huge ribbons, a gingerbread man and a cutie santa! I cannot stop smiling as I’m typing away! How can I forgot my super cute Rudolph the red nose reindeer? Thanks to Yen, she handpainted me a pair of the cutest reindeers! 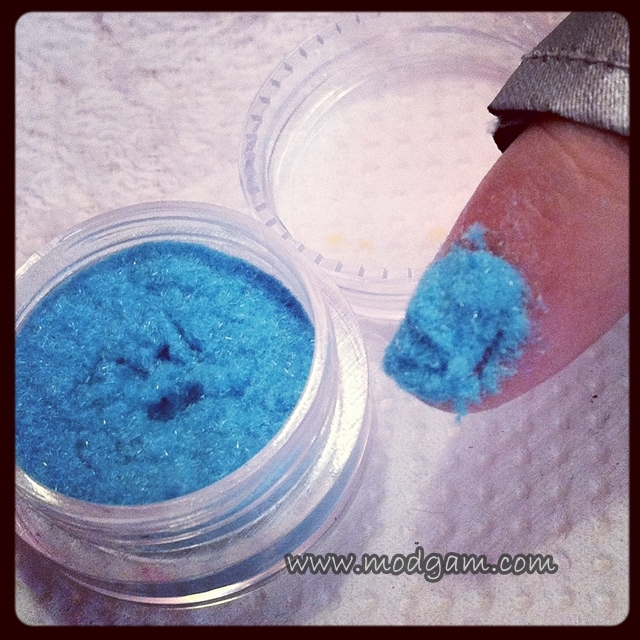 She then painted blings sparkles on the dull blue nail color and brought my toes to life! Christmas is approaching and if you want gorgeous nails that are different from others, I suggest you call LuxeWomen up now and have your appointment booked! I am very very sure you will be able to find something you like! 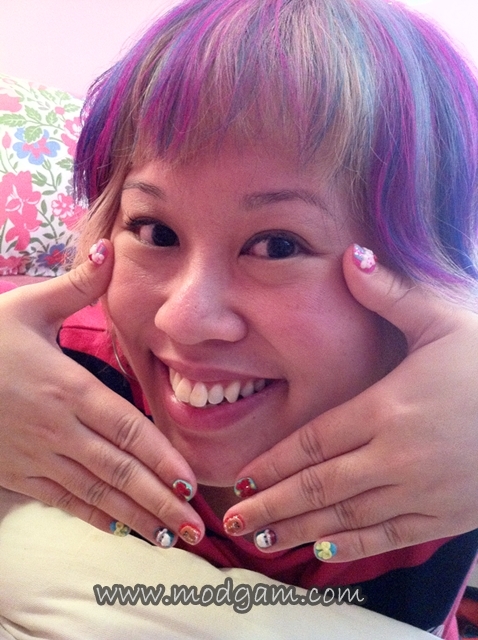 If not you can always talk to Jaclyn or any of the friendly manicurist and create something just for you! Want to get something for your girlfriend or bestie? Want to surprise her with some nail pampering goodness? For just as low as S$20.00 (excluding postage S$2.00), you can get a goodies bag worth S$55.00 from LuxeWomen!!! Every goodies bag is different and varies different items. 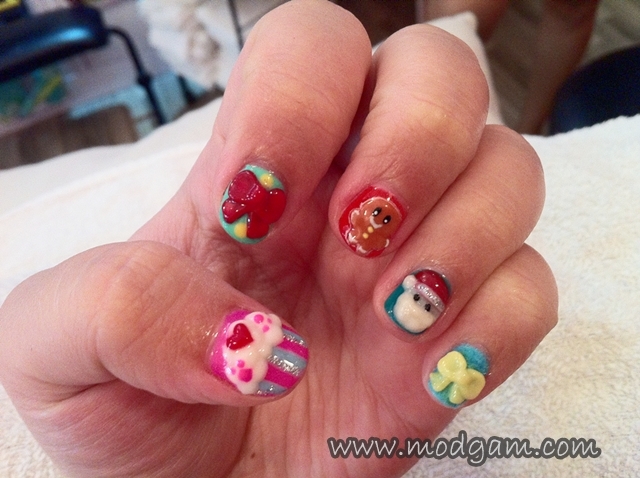 Nailart items, treatment, nail care etc PLUS an FOC treatment voucher worth S$88.00! I kid you NOT! 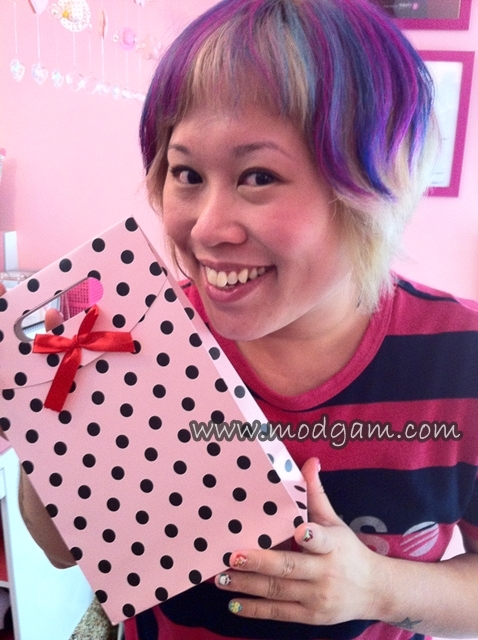 For a mere S$20.00 you have to grab one of this goodies bag for yourself or your girlfriend! Thank you Jaclyn for giving one to me! ADD LuxeWomen on their Facebook account to get this goodies bag HERE!! 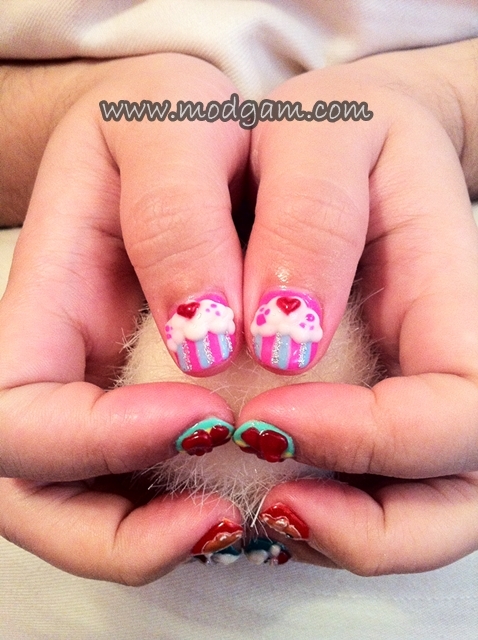 Love Rudolph and the cup cakes nails, awesome………..have a beautiful christmas Mag ! And I wish you too a Happy Christmas with the ones you care !